Blake and Mark breakdown the National Wrestling Hall of Fame Class of 2018 and the annual award winners. It's a great show to just hear Mark go through wrestling history for you. Enjoy! 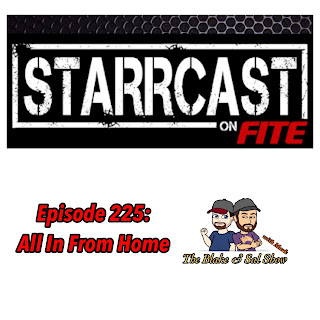 Blake sits down with Conrad Thompson to discuss the history of Starrcast, its connection to All In and how you can tune in at home. 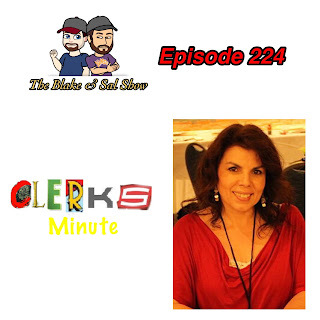 What happens when Mandy joins the show for the first time in a long time? Blake loses control of the show. After Sal pulls a Brock Lesnar, they all have a heated debate about Ronda Rousey and why certain wrestlers don't have to goto NXT while most do and go through the news. Then they break down the weird card for WWE Extreme Rules. In a show with a very old school feel, Blake, Sal and Mark bring Rich Fann from the PW Torch Deep Dive to discuss the wrestling news and then previewing NJPW G1 Special in San Fran. 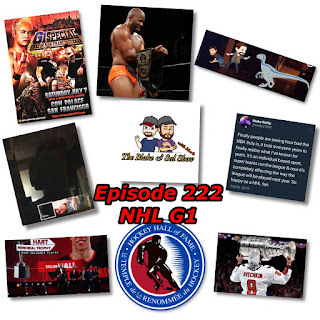 Then in the second half, Shadowman Mike comes out the show and after being attacked by his cat, have an in depth conversation about the state of the NBA before catching up on all things NHL, including the Stanley Cup Finals, the NHL Draft, free agent signings, trades, the Hockey Hall of Fame Class of 2018 and more.